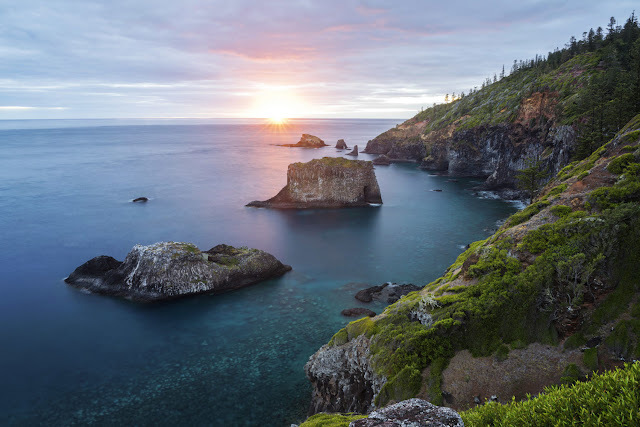 Photo destinationsmagazine.com Norfolk Island Australia which may or may not have suffered a major quake this morning. Something to ponder, a major quake that never was, or was but now isn't! The phantom quake (all reference of this quake has been removed from the USGS website) apparently occurred just 500 miles southwest of the three powerful quakes that rocked New Caledonia yesterday including the massive magnitude 7.5. The report goes on: A shallow earthquake of magnitude 6 struck northeast of Australia’s Norfolk Island on Thursday, the United States Geological Survey said. There was no immediate tsunami warning and no reports of damage or casualties from the quake, which hit at a depth of 10 km (6 miles), about 681 km (423 miles) northeast of Norfolk Island. Probably because it never happened?